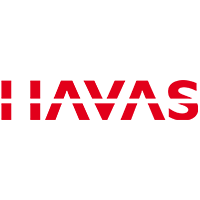 Havas is one of the world's largest communications groups with numerous divisions specializing in different areas of communications. One of those is their healthcare advertising division, based in New York, with over 1,300 employees, Havas Health. Due to an increasing number of new employees to the company, plus many freelancers and contractors, the organization was dealing with numerous account management issues. The organization had been handling account management manually which was a tedious process and took upwards of half an hour for them to create each new account. There was also a major bottle neck in the account creation process since there were only two employees handling the on boarding and off-boarding processes for the entire organization. In addition, the help desk was receiving an overwhelming volume of calls for password resets. The IT department wanted a way to streamline the account management process as well as reduce the amount of calls the helpdesk. Earnell R. Vereen Jr., Network Administrator at Havas Health said, "We needed a solution which would allow employees to accomplish these tasks on their own without having domain level access to the network. After reviewing many solutions, Tools4evers software stood out because of their ability to automate many of our processes." User Management Resource Administrator (UMRA) was implemented at Havas to allow helpdesk employees to easily create accounts in a standard format. Helpdesk employees are able to make changes to employee accounts from a standard, web-based form and UMRA automatically synchronizes those changes with the appropriate systems and applications. This allows the helpdesk to easily make changes without having elevated rights in the network. "A Tools4ever technician helped us scope out our creation and deletion process, got it up and running, and then helped us look at other functionality which could be helpful for us," commented Earnell. Recent additions have been extending some account management processes to end users so that they don't have to involve the helpdesk. This includes the ability to create Lotus Notes groups and their own file structures. "By implementing UMRA our IT staff gained back many man hours. The production level has gone way up but the quality has not gone down due to the standardization of UMRA." "By implementing UMRA our IT staff gained back many man hours"
To handle the large number of password reset calls to the helpdesk Self Service Reset Password Management (SSRPM) was implemented in order to allow end users to reset their own passwords. End users simply correctly answer security questions, which they previously provided answers to, and are able to reset their password. This allows employees to proactively solve their own password issues without having to involve the helpdesk. Earnell added, "SSRPM allowed us to cut our helpdesk tickets for password resets in more than half, and gain back many man hours that were spent on this tedious task," said Earnell. SSRPM and UMRA have allowed Havas to reduce their helpdesk tickets, gain back man hours by automating processes, and avoid the bottle neck that they had with account creation. Year by year, they have added more beneficial technology from Tools4ever and are constantly improving their processes. One recent improvement has been a process for automating their agency folder structure and archiving their data. Tools4ever created a suite of forms to allow Havas to automate their folder creation process, and for overall agency management which includes; creating folder structure, adding new clients and products, setting folder retention policies, and much more. Then based on the retention in the folder structure, an automated routine was created for when archive folders are no longer needed as active, as well as purging the folders after some predetermined time period so that they are put in another folder and are removed from the database. "It has been absolutely great working with Tools4ever and we have developed a great relationship with their staff," said Earnell.